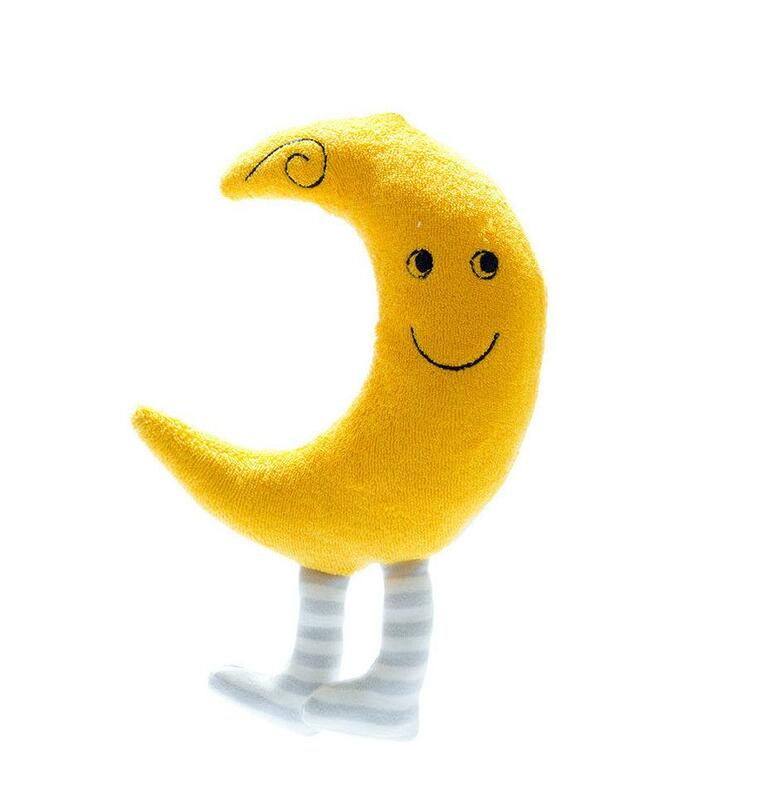 Organic cotton crescent moon baby toy - stuffed with organic cotton. This cute baby toy would make an ideal snuggle for your baby or would look lovely in baby's nursery. If you are looking for something different for newborn Xmas gifts, how about buying the moon!